If you think all shots of sand and surf have to look the same, think again. By following a few simple beach photography tips from the pros, you’ll be able to create prize-winning photos that capture memorable moments you and your family will enjoy again and again. – Look for focal points and unusual angles. 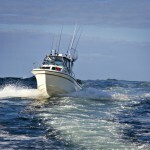 Don’t just point your camera straight out to sea. Look for patterns in the sand, artfully washed up seashells, colorful sailboats, and other things to add interest to your photographs. Waves, streams, and tidal pools also can be interesting subjects. – Take photos early in the morning and close to sunset rather than in the middle of the day. Angled sunshine throws dramatic shadows and deepens colors. – Go to the beach when it’s windy and raining. Storm shots can be compelling and effective. Just make sure you check the forecast first to make sure it’s safe to be on the beach. – Get your family members moving. 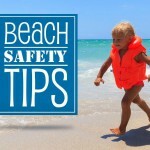 Have them run on the sand, toss a Frisbee, play volleyball, or do some other fun activity. These shots will look more natural that artificially posed beach family portraits. – Make sure you protect your camera from sand. Be careful not to drop it, and keep it in a protective bag when it’s not in use. Sand inside your camera can seriously damage it. – Finally, relax and have fun! Need a place to stay? 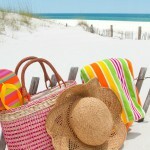 Click on our listings for Destin vacation rentals, Panama City Beach vacation rentals, Gulf Shores vacation rentals, and other popular Gulf Coast destinations at BeachGuide.com. 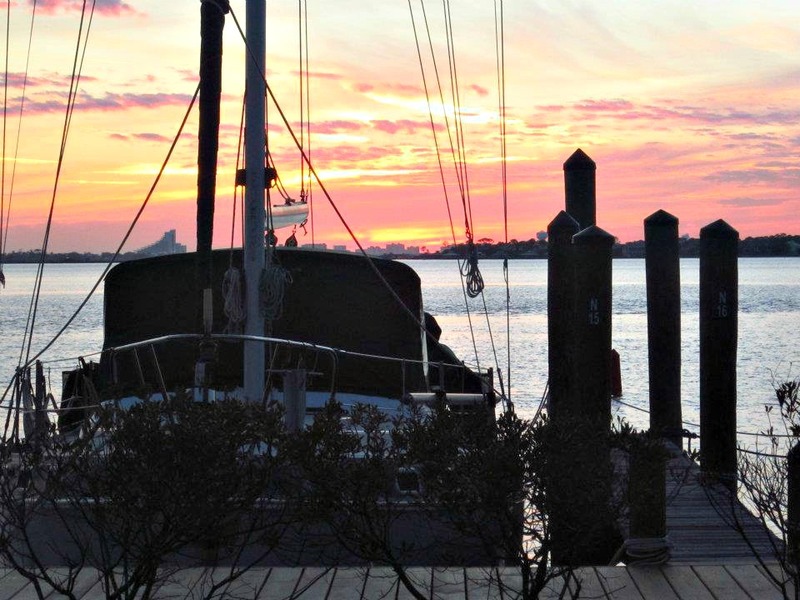 Silhouetted against a cloudy sunset, an ordinary fishing boat takes on a sculptural quality. 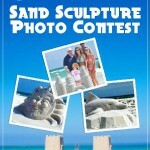 Turn Your Sandcastle Creations Into Cash!